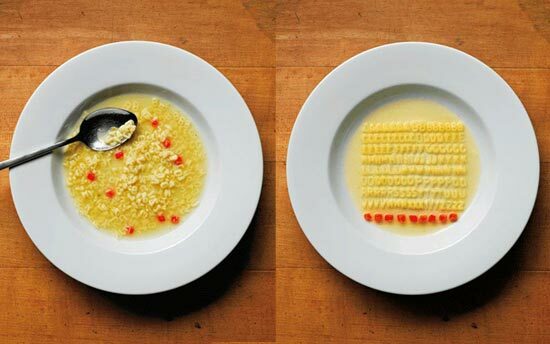 Organisational skills aren’t usually something you look for in an artist, but in Ursus Wehrli‘s case, they’re definitely something of value. Famous for his “Tidying Up Art” books which deliver deconstructions of the works of Van Gogh, Botticelli, Pollock, and many other masters, the Swiss artist and comedian is pushing his visual manifesto for a more organized and categorised take on art. His upcoming book “The Art of Clean Up” brings this concept a little closer to home with Ursus sorting out things we encounter in everyday life. But definitely a neat sight to see. At least OCD is useful for something (except compulsive cleaning, that can come in handy).